As a potential first entry point into the healthcare system, the cardiovascular examination is a vital component of the clinical examination. Epidemiological studies have demonstrated that the risk profiles for individuals at risk for the development of low back pain and osteoarthritis, the most common diagnoses treated by physical therapists, are nearly identical to those for heart disease. Common interventions utilized by physical therapists, such as resistance training, aerobic training, and manual therapy, all generate a hemodynamic response. Therefore, proficient competency in performing a thorough cardiovascular examination is critical for physical therapists. This series of courses will train physical therapists and other rehab professionals on how to perform and interpret a thorough cardiovascular examination related to some of the most common conditions encountered in the clinic. 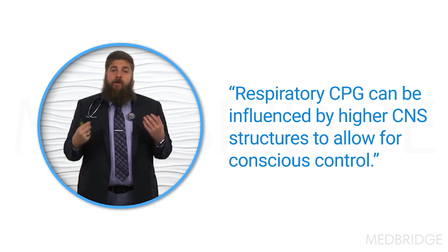 Each course will include a review of the pathophysiology for each condition and introduce relevant examination techniques and interpretation. This course will cover topics related to vascular disorders. 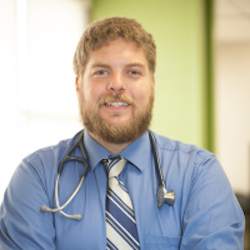 Rich Severin PT, DPT, is a board-certified cardiovascular and pulmonary clinical specialist. Dr. Severin graduated from the University of Miami with his doctor of physical therapy degree in 2013, followed by a cardiopulmonary residency at the William S. Middleton VA Medical Center/University of Wisconsin-Madison, and orthopedic residency at the University of Illinois at Chicago (UIC). Currently, he is pursuing a PhD in rehabilitation science at UIC, with a focus on cardiorespiratory physiology and obesity. Dr. Severin also serves as a visiting clinical instructor in the Department of Physical Therapy at the University of Illinois at Chicago and is a part-time clinical assistant professor in the Doctor of Physical Therapy Program at Baylor University. In addition to his research, education and clinical interests, Dr Severin has worked to develop clinical practice tools for disease risk assessments for physical therapists in a variety of practice settings and the translation of evidence into practice. Registrants will review the pathophysiological mechanisms of cardiovascular disease to better appreciate the disease processes observed in clinic, and gain an understanding of how common cardiovascular diseases may influence the response to interventions provided in clinical practice. To further appreciate the importance of a cardiovascular examination, registrants will learn the prevalence of cardiovascular diseases in physical therapy practice, based on epidemiological studies. In order to develop clinical pattern recognition, a detailed presentation of common signs and symptoms will be presented for common cardiovascular syndromes and conditions. Registrants will obtain competency with the examination techniques in order to perform a thorough vascular examination. 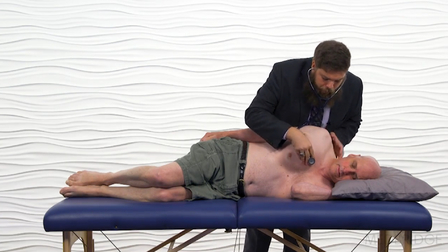 These techniques include blood pressure (seated, standing, during exercise), palpation of arterial pulses, palpation of the chest, capillary refill, Bueger's test, and a metronome test.